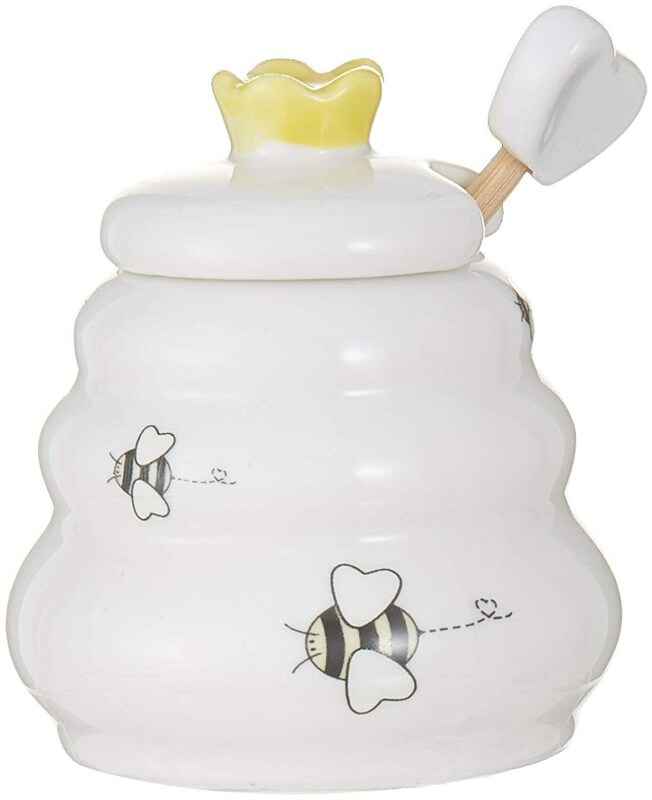 Cutely packaged, these "Meant to Bee" honey pots with dippers are a ideal gift or favor that's perfect for bridal showers, baby showers, or just because. 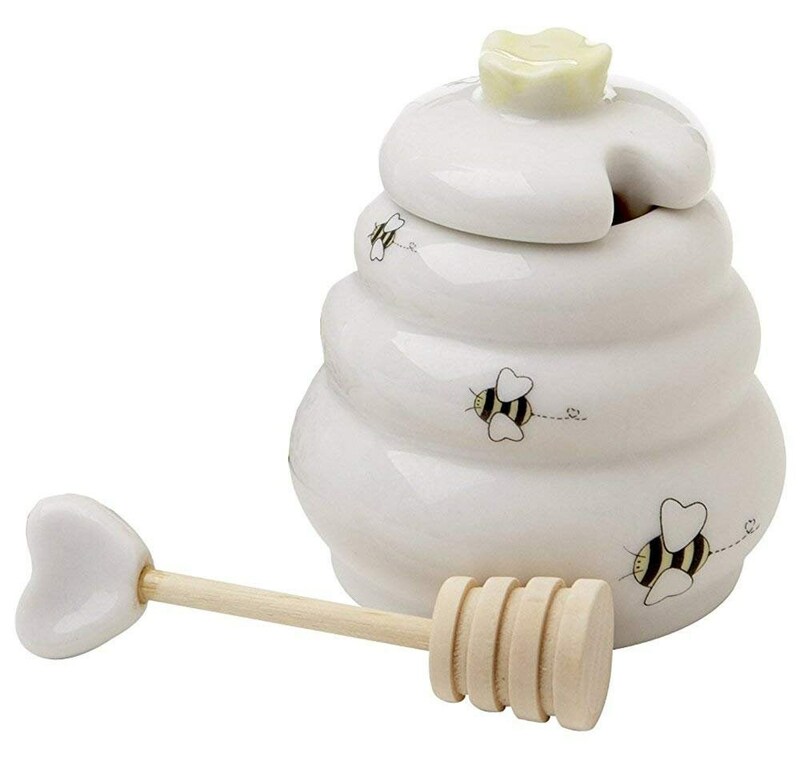 The ceramic honey pot is adorned with adorable little bees, and complete with a wooden dipper. The honey pot comes wrapped in a clear gift box, decorated with purple, pink and blue flowers. A little white ribbon complete this whimsical gift box. The honey pot holds approximately 3 ounces.